Many in the Hearthstone community have partaken in the witch hunt against Cloud9 streamer Harry ”MaSsan” Cheong, accusing him for tinkering with his viewing numbers on Twitch. In talks with Aftonbladet Esport he now claims other streamers are trying to ruin his career. – I’m aware that some or most of Team Archon, G2 and Forsen are teaming up to lie about me, MaSsan says. 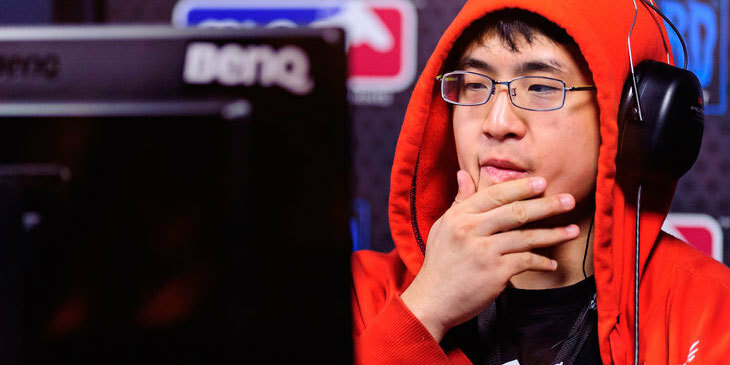 Many, of not a majority, of the Hearthstone community suspect famous Cloud9 member Harry ”MaSsan” Cheong for cheating with the viewer count on his Twitch channel, claiming he’s using bots to increasing the numbers. In Januari the debacle blew up, as a Reddit user gathered evidence and – perhaps most notably – testimonies from other community members, such as Team Archon founder Jason ”Amaz” Chan, Team Liquid player David ”Dog” Caero and Twitch streamer Byron ”Reckful” Bernstein. Dog, for example, states in a clip that MaSsan offered him payment to compete in his stead in an online tournament. Later Swedish streamer Sebastian ”Forsen” Fors says MaSsan cheated in the very same competition. Aftonbladet Esport recently conducted an interview with Team Archon star Jon ”Orange” Westberg. There the Swede talks about his view on the drama and says he thinks MaSsan will get banned from tournaments. – It’s just a matter of time, he says. The witch hunt against MaSsan has undeniably been massive. Ever since the drama blew up, Aftonbladet Esport have been trying to reach him for a comment. In conjunction with the Orange interview, we got contact. MaSsan says he has previously spoken openly about the allegations and doesn’t have much to add. However, he says other streamers are trying to ”bash down his career”. – I’m aware that some, or most, of Team Archon, G2 Esports and Forsen are teaming up to lie about me, MaSsan tells Aftonbladet Esport, and later sends us this picture as a response to claims of him cheating. He goes on to say he’s never broken the rules of any game, tournament nor on Twitch – and adds he won’t attend events organized by the previously mentioned parties. – I’m done dealing with accusations. People actually chatbot my channel and post it was evidence of viewbot on Youtube, which are two completely different things – and the accusations isn’t about viewbot alone. – What if he actually didn’t know he had view bots in there? What if he doesn’t know and somebody else is botting him. Amaz: "The top streamers do make quite a bit"